Help us to establish a free independent media, which emphasizes on insistent investigative journalism. Reykjavik Media is a new media prioritising investigative journalism as well as reporting on the personal aspects of the community. 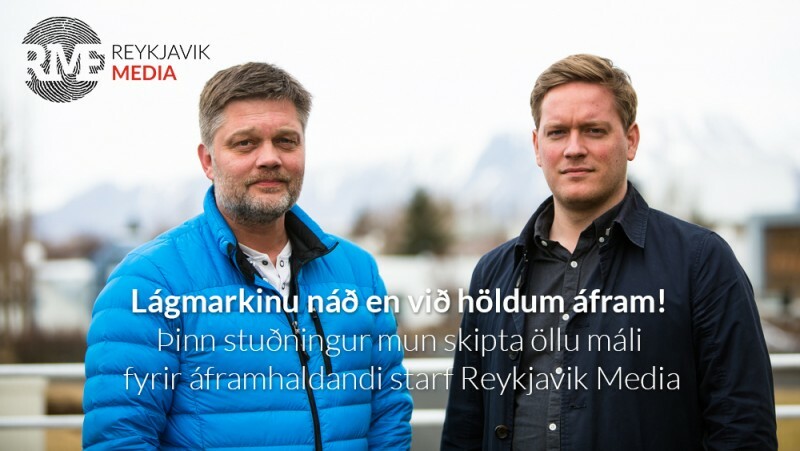 Reykjavik Media is targeted to the media consumer but not private interest or authority. We are here to inform you about current issues and those that need to be dug up and brought to the surface. What kind of media is Reykjavik Media? -We operate a website at RME.is where we will publish original videos, investigative reports, interviews, and other material. -We will publish in cooperation with other media outlets and organisations, e.g. International Consortium of Investigative Journalists and the Icelandic Center for Investigative Journalism. - We will prioritise the content and choose the media type that best communicates the topic at hand to our readers. - We will not be affected by private interests or let external pressure influence our content. We will stay true to our mission of reporting on important matters for our readers and viewers, who we‘re ultimately working for. Jóhannes Kr. Kristjánsson is a multiple award winning investigative journalist. Best known for his disclosures in the current affairs shows Kompás and Kastljós. Jóhannes is the sole Icelandic reporter who is a member of the International Consortium of Investigative Journalists. For the last ten months Jóhannes has worked on establishing Reykjavik Media as well as Reykjavik Media‘s first reports that already have had great impact on the discussion in the society and exposed the secrets of some of Iceland's elite. Aðalsteinn Kjartansson is a reporter specialising in analytic journalism. For five years Aðalsteinn worked for DV but made the move to Vísir where he authored numerous informative articles utilising analytic journalism to dig deeper than usual in Icelandic media. For the last few weeks Aðalsteinn has worked on Reykjavik‘s Media first reports.